Republican candidate for City Council in 1994. 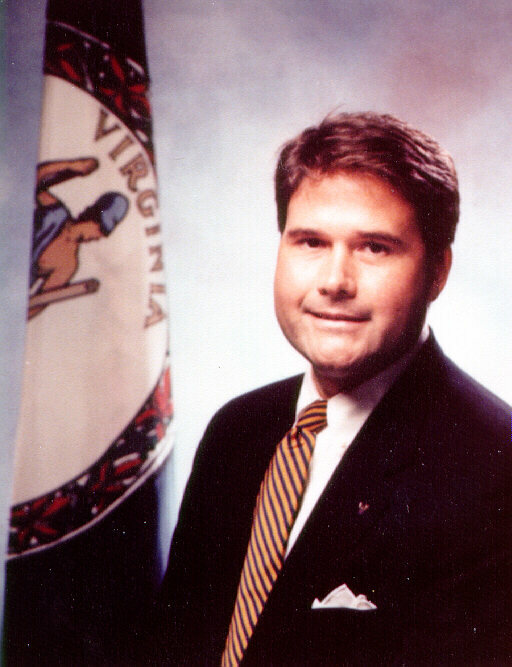 Picture of Brian Campbell taken at Inauguration of George Allen, Governor of Virginia, 1994. In 1994, Brian Campbell ran with Will Lyster for City Council against Democrats Kay Slaughter and David Toscano. Since then, he has become the Medical Alumni Coordinator for the University of Virginia Medical Alumni Association. He is also Chairman of Virginia's State Social Services Board and a member of the Virginia Advisory Council on Adult Education and Literacy. Brian "would not have gotten into politics" had it not been for his 11th grade advisor at Gloucester High School who asked him to be in an extemporaneous public speaking contest. According to Brian, "I ended up coming in second place in the whole state and some people say that I have not shut up since then."